Engorged with the heady success of Bubble Witch Saga and Candy Crush Saga, King.com adds another epic tale of level-arranged puzzles to Facebook with Pet Rescue Saga, a game that's vaguely about rescuing pets. 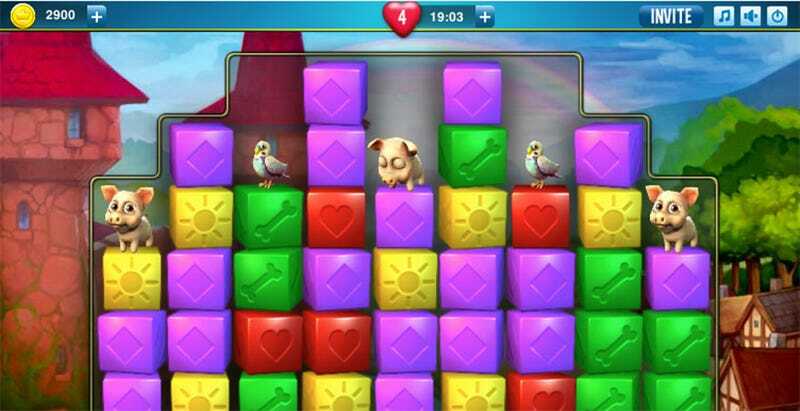 Mostly it's about matching colored blocks, but there's a twist-some of these colored blocks have pets on top of them. You have to rescue them, while being a saga or something. Pet Rescue Saga doesn't seem all that different from King.com's other Facebook offerings. You neat a level, move on down the line to the next, buying power-ups and feeling a certain misplaced pride when you pass your friends along the way. It's what King.com excels at. Can you blame them for milking it? Check out Pet Rescue Saga on Facebook here.